In January 2014, the Tiny Love brand was acquired by Dorel Industries Inc. (TSX: DII.B, DII.A). Dorel creates style and excitement in equal measure to safety, quality and value. The company’s safety and lifestyle leadership is pronounced in both its Juvenile and Bicycle categories with an array of trend-setting, innovative products. Dorel Juvenile, a segment of Dorel Industries, Inc. (TSX:DII.B, DII.A) is a world class juvenile products company. 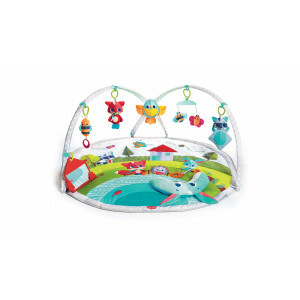 Dorel Juvenile’s powerfully branded products include global juvenile brands Safety 1st , Quinny, Maxi-Cosi and Tiny Love, complemented by regional brands such as Cosco, Bébé Confort and Infanti. Dorel Industries Inc. has annual sales of US$2.6 billion and employs approximately 10,000 people in facilities located in twenty-five countries worldwide. The idea that guides us in the process of creating new products is Moments of Wonder™, those breakthrough moments of discovery that babies experience as they grow and develop. In those special moments, both babies and parents are filled with a sense of wonder, discovery, excitement and joy. Our promise as a brand is to see things through baby's eyes, focus on parents' needs and employ our expert knowledge and creativity to create products that will encourage babies' development by stimulating baby's growth, nurturing baby's emotional world and, most importantly, inspiring those special Moments of Wonder™. We continually strive to ongoing innovation and originality. 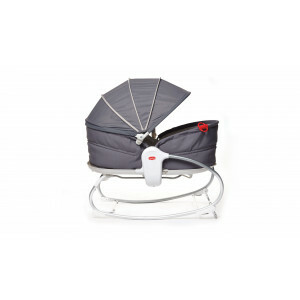 Among our brand's products you will find innovative crib mobiles and the flagship Gymini line. In fact, Tiny Love is the proud inventor of the Gymini Activity Mat, which has since become a leading player in the baby product industry. We launched our very first Gymini in 1993 and our first electronic mobile in 2002. In 2010, we ventured into the light baby gear category with our Gymini Bouncer. Since then, we have launched a variety of new products in this exciting category. Every one of our products is designed to meet the needs of both parents and babies, stimulating babies’ senses and helping parents enjoy the time they spend with their little ones. Our aim is to help encourage baby's development through enjoyable playtime, stimulating features and fun toys. 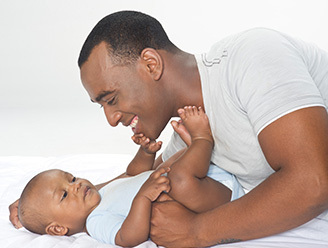 Hoping to offer both babies and parents quality moments together and alone, our products are designed to encourage bonding between parent and baby and to promote independent play that offers parents some quality time of their own. Our brand enjoys the support and guidance of child development experts who instruct our creative team through the process of inventing new products. We are always on the lookout for the next developmental toy that will stimulate your baby's skills and senses and help you enjoy your time together in those exciting first years of baby’s life. Quality & Safety are top on our list of priorities and all our products meet the most rigorous safety standards. We at Tiny Love believe that when a baby is born a parent is born too. Just like babies grow and develop, so parents evolve and change. Our high-quality products are aimed at helping parents fulfil the all-important role they play in baby's life. Our team is made up of parents who enjoy the hands-on experience that allows them to truly understand the needs of parents and their babies. We believe that this fact helps us become a trusted partner to parents worldwide.